Upgrading and replacing computers over the years can leave you with a stockpile of unused components. If you have an old hard drive lying around, then rather than leaving it to gather dust, you can put it to good use as an external hard drive. While there are already quite a few hard drive cases on the market that will accommodate an internal laptop hard drive, the Enermax Jazzmate stands out from the crowd thanks to some very handy features that its competitors have left out. 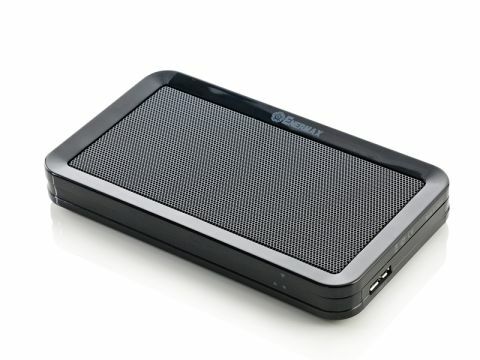 The first thing you notice about the case is how small it is - not much bigger than the 2.5-inch hard drives it can hold. This turns it into a very useful portable drive that you can carry around with you without much trouble. The casing is so much smaller than the other hard drive enclosures you'll come across because of its 'Cooling Plus' mesh design, which allows air to flow freely through the case, efficiently cooling the drive. Another nice feature of this case is that you don't need to screw or unscrew anything. You simply unlock the case, slide off the top and place your hard drive inside. It's so simple to add and remove hard drives that you can swap them at will – ideal if you have a number of otherwise unused drives going spare. Adding hard drives couldn't be easier, and it only took a couple of seconds to fit a hard drive, close the case, plug it into the computer and then access the files. Even better, the Enermax Jazzmate comes with a USB 3.0 cable. Plugging this into a USB 3.0 port gives fantastic speeds, almost comparable with internal drives. The price is impressive as well – if you've already got a spare hard drive you can have a fully functioning large capacity external drive for only £20. If your laptop refuses to boot, this is a very affordable way of recovering your files – just take out the drive, insert it into the Jazzmate and connect it to a working PC.